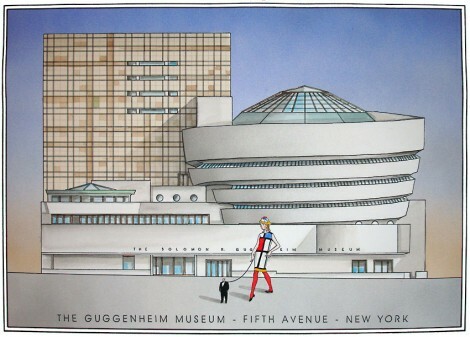 This is the Guggenheim museum in New York City. It will turn 50 years old in October. Also, it recently underwent a complete exterior restoration. It looks great, but I have no idea about the inside. When we went today to see the exhibit associated with the anniversary, the line was around the block. Even the line to renew my lapsed membership was long, so we'll give it a try closer to the end of the exhibition, August 23, 2009.